The club were formed in 1995 and for the first for years of their history, they were known as MALEX. The whole club includes around 40 teams, including Seniors, Juniors and Masters and they are the UK's most successful all-Jewish team. Joining the Herts Senior County League upon formation, they started out in Division 1. After four top-half finishes in a row, they were crowned champions in 2000, earning promotion to the Premier Division. In all but one of their 10 seasons here, London Lions finished in the top half of the table and were runners-up to Met Police (Bushey) in 2009. 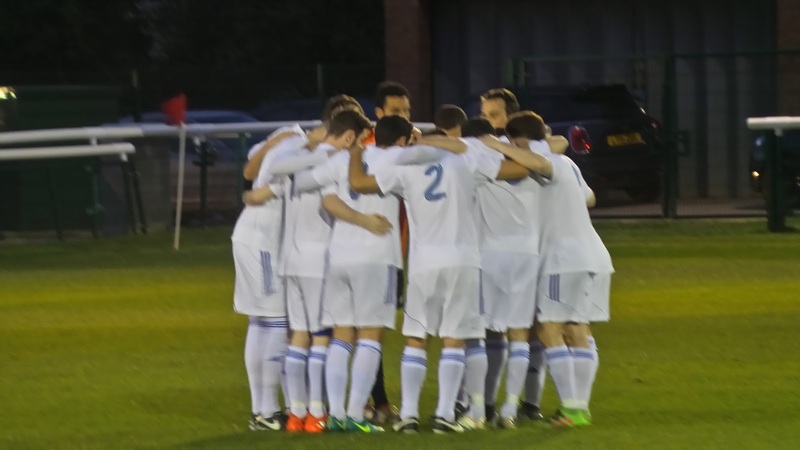 The following season, they went one better and were promoted to the Spartan South Midlands League Division 1. Again the success continued and they were champions in 2013, gaining promotion to the SSML Premier, at step 5 of the non-league pyramid. Their season here was not a happy one, with them finishing bottom and winning just three games all season. The strain of having to pay for groundshares at the likes of Hemel, St Albans and Broxbourne Borough had taken their toll and in 2015, they took the decision to resign from the SSMl and rejoin the Herts County League so they could use their own ground. 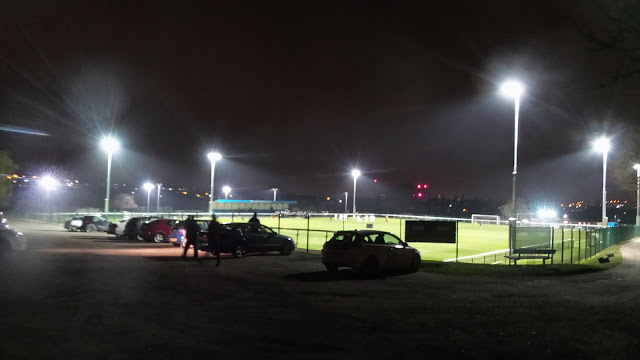 Facilities are now in place, with a new stand and floodlights, and with the team having won the league on the Saturday before my visit, all looks good for a return to the Spartan South Midlands League. 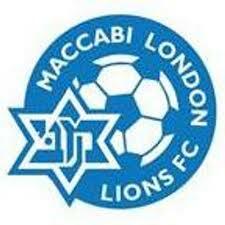 London Lions became the first Jewish team to win an FA Cup tie in 64 years when they defeated Clapton in 2012. 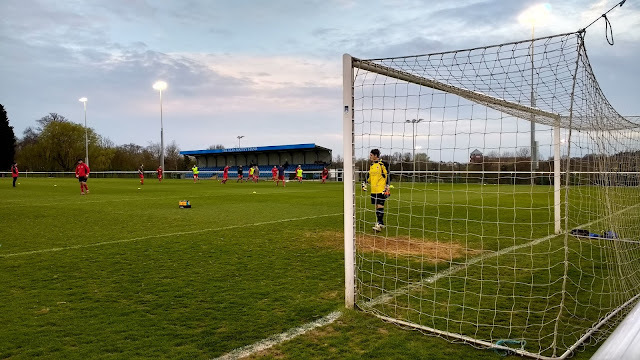 They went on to beat Oxhey Jets before a 4-2 home defeat to AFC Dunstable in the 1st Qualifying Round This remains their best progress so far, with them having lost every subsequent tie. That same season also saw a good FA Vase run, as they reached the 2nd Round before being knocked out by Brightlingsea Regent. 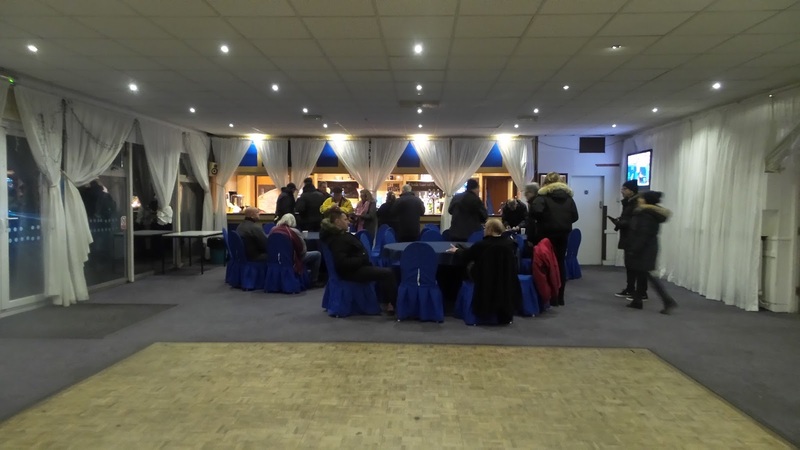 Local cup honours include the Anagram Records Trophy, the Potters Bar Charity Cup, the Herts Centenary Trophy on three occasions and the Peter Morrison Trophy four times. London Lions' record win came in 2010 as they defeated Bedmond Sport and Social in 2009, whilst they gained their record attendance of 155 against Brightlingsea Regent in a 2012 FA Vase 2nd Round game. This game was decided on Saturday afternoon whilst I was watching Wycombe's disappointing 1-0 defeat to Notts County' I'd bought a list of potential games that myself and fellow hopper Anwar could visit, and ask what one he fancied. 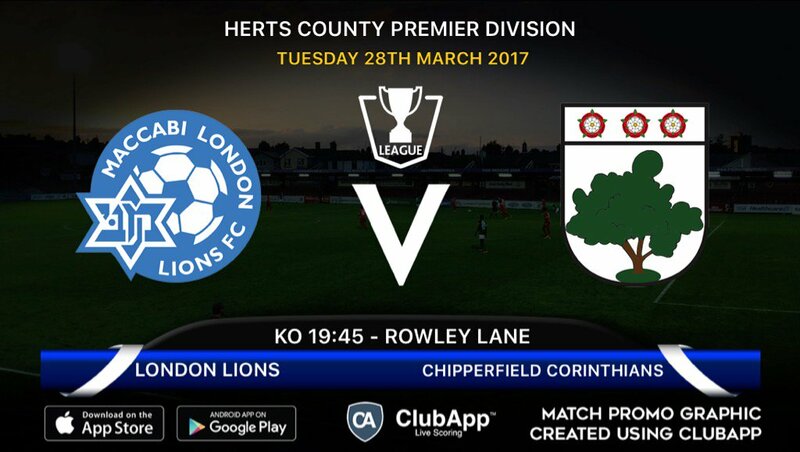 He wanted a cheap evening, so London Lions game against Chipperfield Corinthians in the Herts County League fitted the bill perfectly. I was happy to save money too, after an expensive week off. 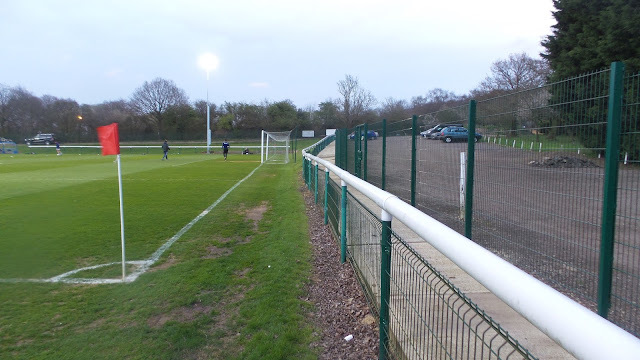 It would be my third ground in the fairly local Hertfordshire league, having previously done Bovingdon and Belstone, the latter ironically against tonight's visitors, Chipperfield Corinthians. On the day of the game it was my day off from work, and as usual, it involved a walk down town before getting a lift back with my Dad. 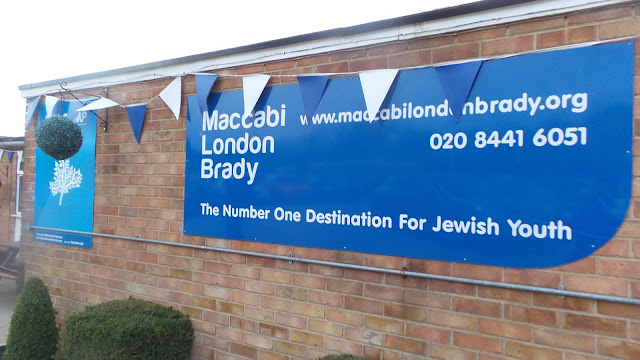 I had a fair few jobs that had been lingering for ages to be cracking on with, and although I got some of them done, there were others that I couldn't be bothered with. One of these tasks was my continuing quest to find what step 7 grounds are worth visiting. It seems the further south you get, the less stands you get, but I did enjoy doing my research nonetheless. After a nice dinner of Chicken Dhansak, I got my stuff together, and left at 5.45, meeting Anwar in Aylesbury half an hour later. We got to the ground just after 7 and had to wait a while before we could go in. For the game, we stood along the side by the stand, though it was a bit chilly for what was nearly April. Visitors Chipperfield had the first chance of the game, but the opening period was dominated by London Lions. They took the lead when a cross was headed home by Nick Landesburg just before the 20th minute. Though the visitors had the occasional chance on the break and came close to equalising a couple of times, it was London Lions who struck next. Just after the hour, a ball was played square across the six-yard box to be finished by an Adam Burchell from close range. 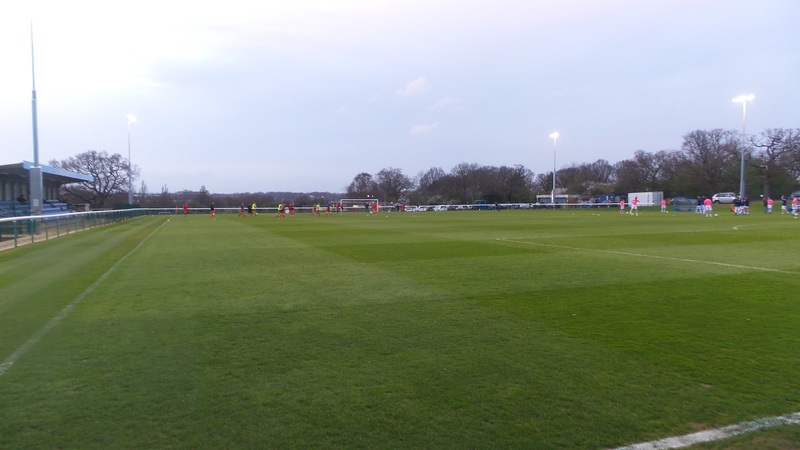 The visitors efforts deserved a goal and they pulled one back fifteen minutes from time with a confident finish, blasting into the net from just inside the area. Austin Lipman immediately went up the other end and restored the two goal lead with a thumping shot from distance before they went 4-1 up when the same player danced through the defence before netting tidily past the keeper. That was it as far as scoring was concerned and in the end the hosts were clear and deserved winners. It was an easy drive home, with me dropping Anwar off at 10.20 and getting home myself 20 minutes later. I even had time to type my blog up before watching TV and going to bed at around midnight. 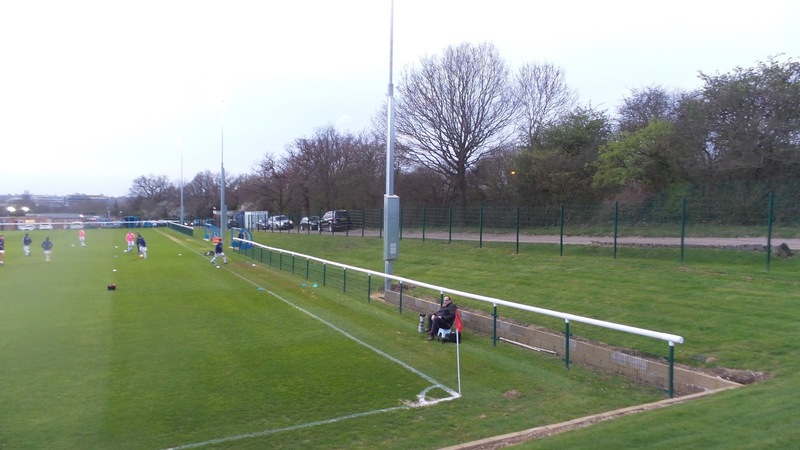 ROWLEY LANE is a smart venue and is newly built. 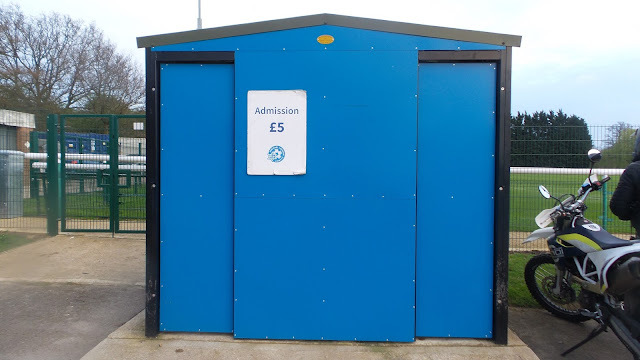 The stand holds 200 and unlike many modern structures is a bit more than a generic flat pack stand, looking really smart. 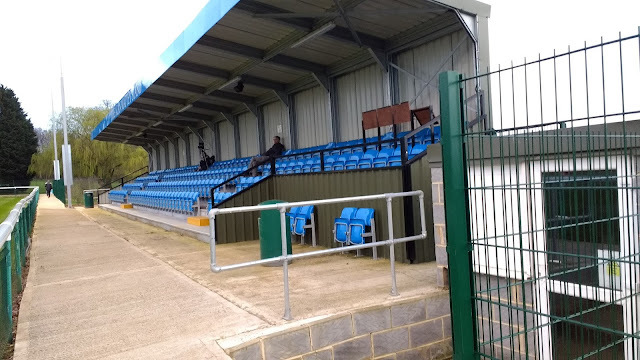 There are another two sides open hard standing, with the 4th housing the dugouts. There isn't much in the way of tea bar facilities although it looks like there is one in the process of being built. If not, hot drinks are available in the clubhouse which also does a basic range including Magners and Strongbow for cider drinkers. I didn't see many alternatives on my drive in.